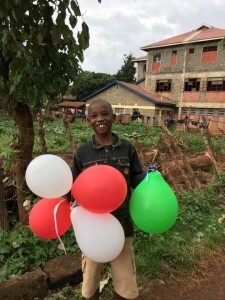 The District of Eastern North America (DENA) brought the Lasallian family closer together through its recent visit to twinned ministries in Kenya. This summer’s Come and See was a follow up to the 2014 Twinning Summit, the District’s original two-week program aimed to strengthen twinning relationships. The twinning program pairs schools in the Lasallian Region of North America (RELAN) with ministries in the Lwanga District of Africa. Now in its 21st year, the twinning program brings Lasallians together in solidarity and encourages students to form relationships, while RELAN students fundraise to support their twin school. The purpose of DENA’s Come and See was to deepen association for the Lasallian mission by personally connecting. During the July visit to Kenya, the DENA representatives, were immersed in the culture and spirituality of the ministries and Lasallians. The group visited Rongai Agricultural and Technical Secondary School in Rongai, St. Mary’s Secondary School in Nyeri, Mwangaza College and Child Discovery Center in Nakuru and Christ the Teacher Institute in Nairobi, which are all twinned ministries. Additionally, they visited the two newest ministries, St. La Salle School in Karemano and La Salle Catholic Primary School in Nairobi. During these visits, the DENA Lasallians had the opportunity to interact with students and teachers, and get to know more about their lives, their cultures and the impact of the Lasallian mission. The group also met with Brother Ghebreysus Habte, FSC, Lwanga District Visitor, who spoke enthusiastically about the deepening relationship between the ministries in Lwanga and RELAN. The trip also included visits to the Novitiate, the Maryknoll Institute of African Studies, and several Kenyan national monuments including a safari opportunity in Nakuru National Park. Maryanna Donohue-Lynch, associate executive director for DENA’s office for mission and ministry, serves as the District’s twinning coordinator. She, along with Brother Dennis Lee, FSC, organized the 2014 Twinning Summit held in Kenya. In the two years between visits, she said DENA has been actively continuing to build momentum and excitement around twinning relationships. One of DENA’s directional statements encourages the District to continue to cultivate international relationships such as twinning. 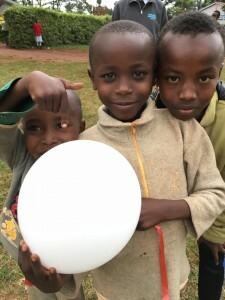 DENA works in collaboration with the rest of the Districts in RELAN and Christian Brothers Conference to provide resources for RELAN and Lwanga ministries each year in order to deepen the connection twinned ministries share. New resources will be available at the start of the 2016-2017 academic year on the Christian Brothers Conference website. Christian Brothers Conference coordinates the twinning program, facilitates communication between twin schools, and serves as a resource center.